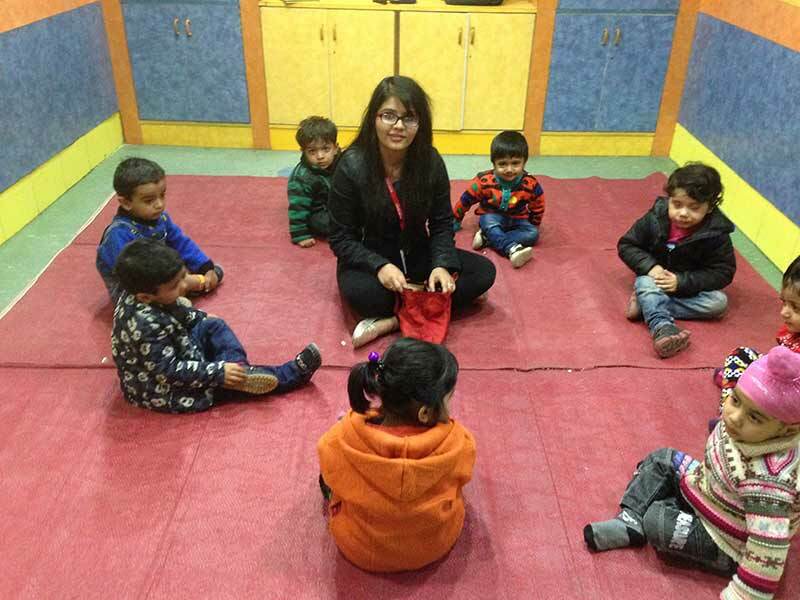 Keeping with the theme ‘Yummy Food’, children were given exposure to reinforce the names of some of the fruits and vegetables during Circle Time. Teacher prepared cutouts of some of the fruits and vegetables introduced in the class. A ‘Food Bag’ filled with all cutouts was created . 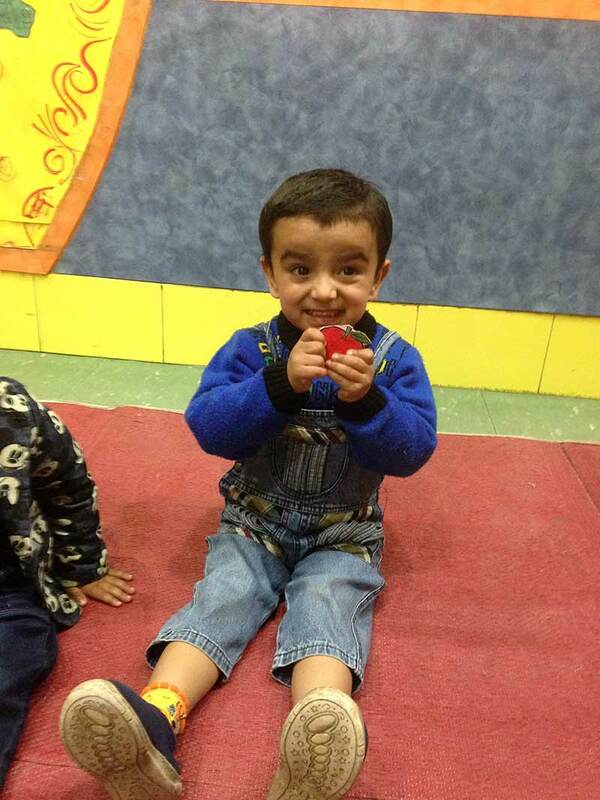 During circle time, children were given chance to pick one cutout and talk about it. Children were completely enthusiastic to get chance again and again. 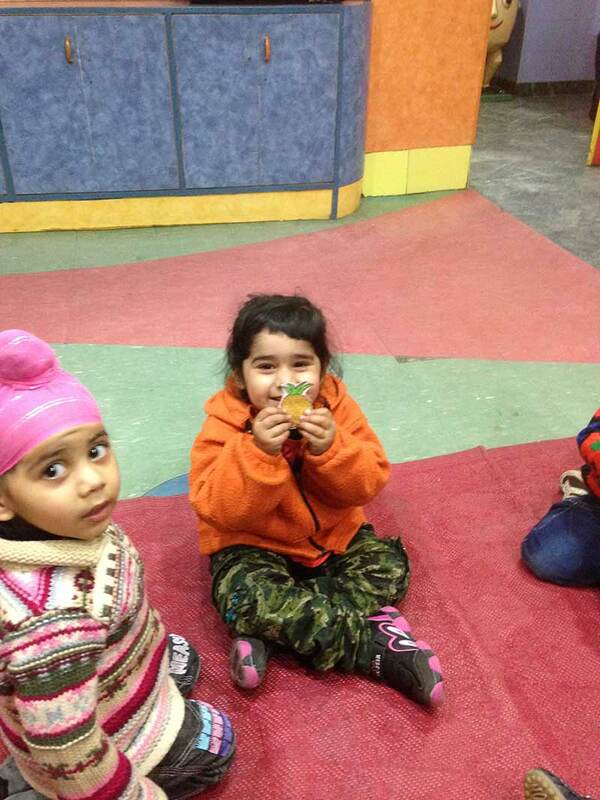 The activity was full of learning and fun.